This is a great recipe for a simple “make-ahead/take-to-work” lunch or as a tasty side. It’s good for lowering cholesterol, improving digestive health and gut flora and providing sustained energy. Chop the tomatoes, retaining all the juice. Mix the ingredients to make a zingy salsa with the mixed beans. 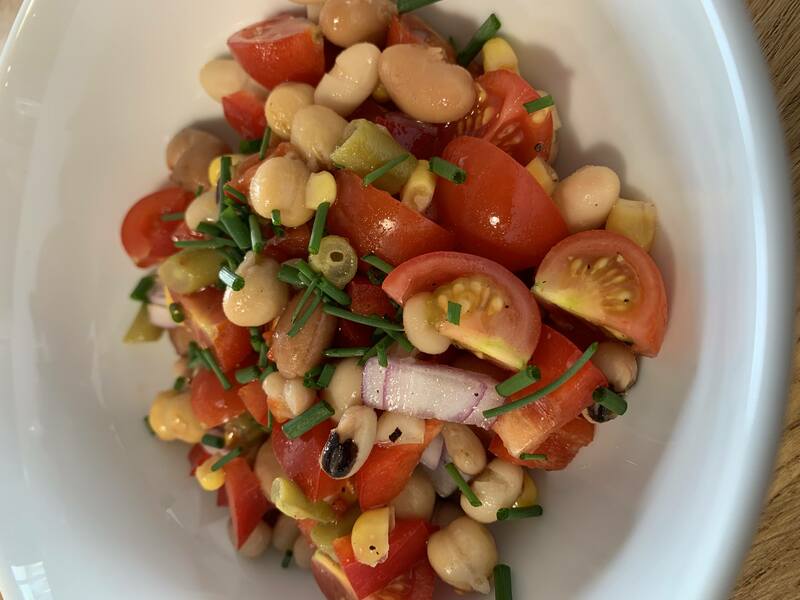 Beans and pulses are a wonderful addition to your diet for several reasons: first, they assist in the removal of cholesterol from the gastrointestinal tract and add bulk to gut contents for better mobility through the gut. Second, they’re a fantastic lean protein source. Third, they’re rich in B vitamins and minerals.